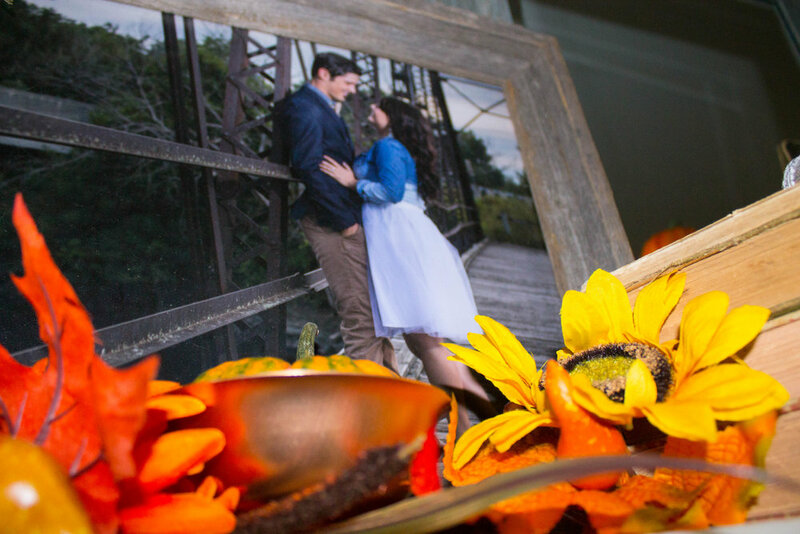 I am finally getting around to posting more of my fall decorations! Life has been so busy in our house lately, I haven't had 5 minutes to spare! I better get all my fall posts up before winter arrives all too quickly here in Iowa. In our 100 year old house, we have a small parlor room right as you walk in the front door. In this room is a fireplace that unfortunately, is closed up. But, a beautiful marble mantel remains. I like to think its only purpose is to be decorated, at least that's what i'm telling myself. Last year, I used all seasonal decor and went for a very orange look. 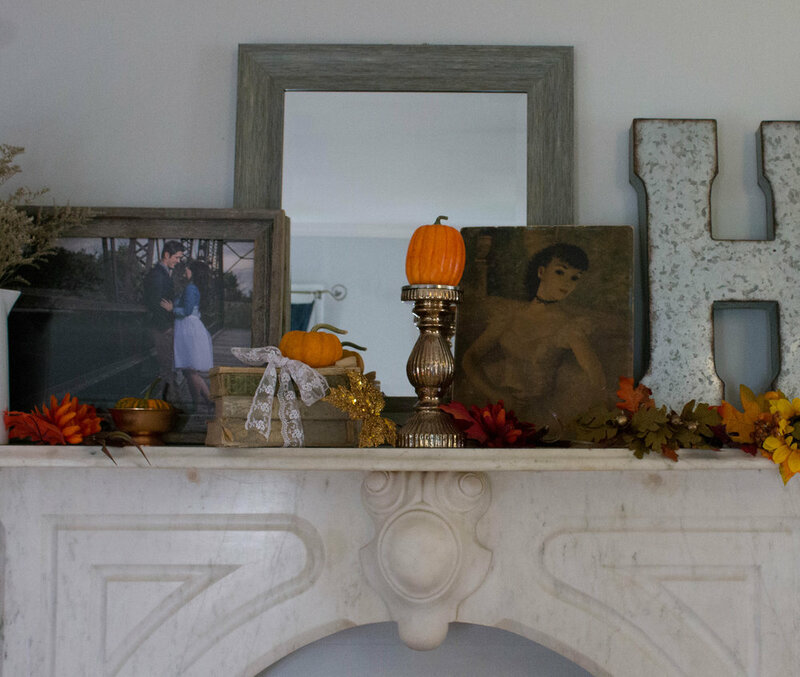 I changed up my mantel this year, using a mix seasonal items such as fake pumpkins and leaves from Hobby Lobby, and a variety of non-seasonal items such as old books, pictures, and various decor from around my house! I also threw in a couple of small real pumpkins as well! Don't forget to follow me on Instagram and Facebook for more decorating inspiration!